You can jump if you move your finger upwards. You can fight if you touch the screen. The cute panda bear can jump from the edge of a rock to reach the next one. As soon as the octopus ghost is close to the panda bear everyone is in fighting position. 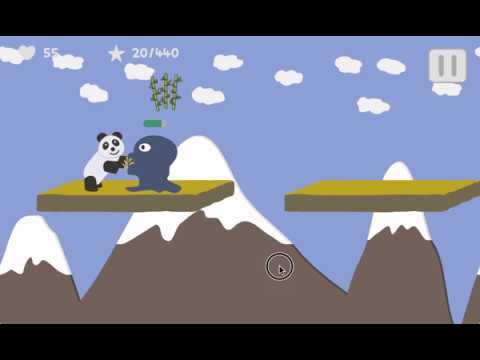 The hungry panda bear can jump to fetch the floating bamboo branches. The walking panda bear should jump over the approaching boxing gloves. If the panda bear falls down, he loses life points.